The best chocolate chia pudding you will love. This basic recipe is so easy to make this could be your go to recipe for dessert or even breakfast. Ready to learn how you can make the best chocolate chia pudding recipe? Lets get started! If you do not like off the shelf pudding or looking for a vegan pudding than this is your recipe. It is also naturally sweetened and sugar free so if you are on a sugar free diet you can eat this as well. The main ingredient is chia seeds. A neutral tasting seed that when it comes into contact with liquid it increases in size. 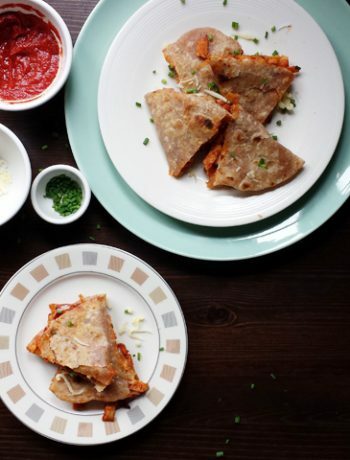 That is why you need some time after you put this recipe together. To keep it dairy free you will be making pudding with almond milk and turn it into overnight chia. You can make chocolate chia pudding with or without a bender. As I am using dates as the natural sweetener and I want to distribute the flavor of the almonds evenly I used a blender. However you can decide to not blend the pudding at all. It only requires a few steps to make this basic chia pudding recipe. Start by slicing the dates into small pieces. Put the unsweetened almond milk in the blender and add the diced dates. When combined add the cacao powder and let the blender whisk. Now it is time add the chia seeds, cinnamon and salt. Whisk the ingredients on low speed for about 1 minute. The ingredients will become slightly thick. 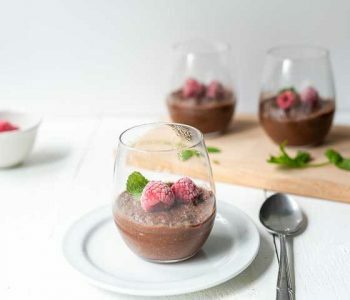 Pour the chocolate chia pudding in glasses and cover with cling film. Put in the fridge to set overnight. 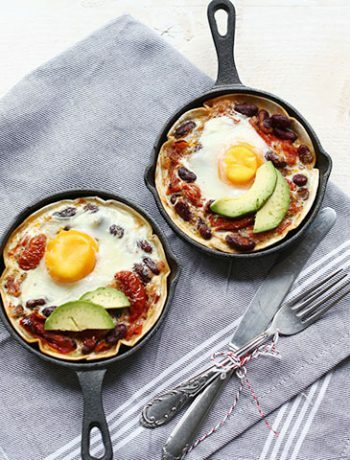 Decorate with a tablespoon of quark, slices of banana, fresh raspberries or blue berries. If you do not want to blend either chop the dates up finely or buy some date powder to substitute the dates. 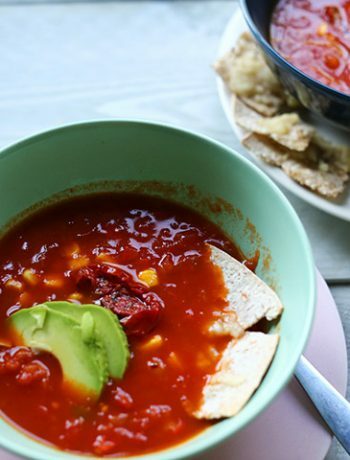 Put all the ingredients in a bowl and mix together. Pour in a glass cover with cling film and let it set overnight. You will see how the chia seeds absorb the liquid from the almond when you do not use your blender. Apple pie filling – if you have apple pie filling in the fridge you will love it with this chia pudding. Oranges – another fruit that goes great with chocolate are orange or mandarins. So either in same slices or add some of the juice when mixing the pudding. 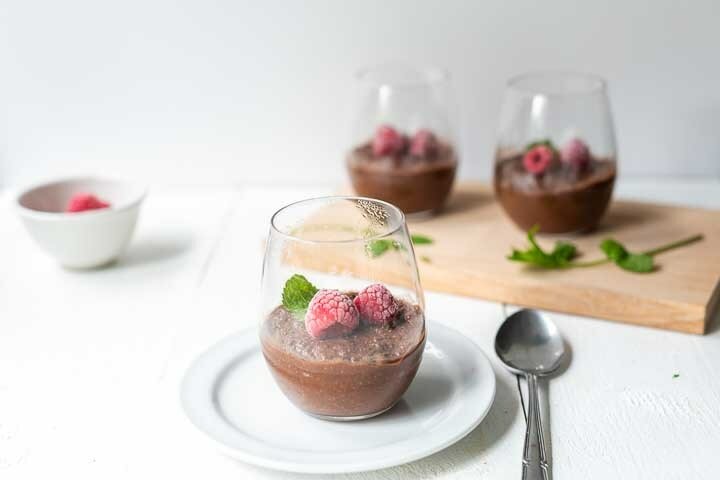 Have fun making your own version of this chocolate chia pudding recipe! Made a recipe tag @thetortillachannel on Instagram or PIN on Pinterest. The best chocolate chia pudding you will love. This basic recipe is so easy to make this could be your go to recipe for dessert or even breakfast.